I wasn’t always so passionate about sport-for-development, this quickly growing field that uses sport and play to improve quality of life, bring people together, and spark societal change. I was focused on homelessness, economic development, and other social inequality issues. That’s all well and good, but the kids in Haiti didn’t ask me about the historical role of foreign aid on their country’s deforestation. They asked for soccer balls. 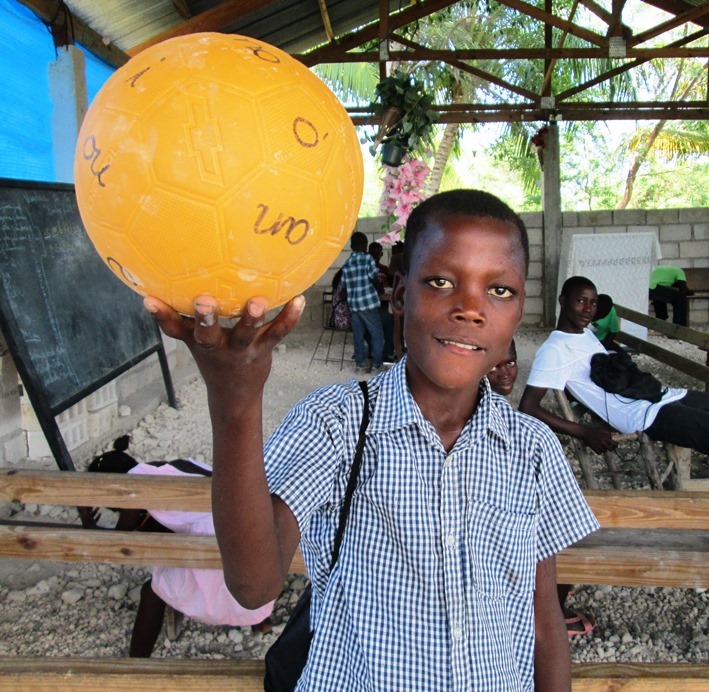 In March 2010, I saw children playing a game of soccer in the streets of Leogane, surrounded by rubble. (“Inside the Shantytowns at Haiti’s Ground Zero”) They were focused and having fun, able to temporarily remove themselves from the surrounding devastation. The idea for GOALS sprang from the idea that you can bridge the gap between this love for soccer and a country’s enormous challenges to help people in a fun, and therefore sustainable, way. Fast forward four years later, and I’m a firm believer that sport is an unparalleled tool to effect social change. We get a lot of ‘serious’ development work done while having fun. I have seen the value in a child getting a chance to play and laugh, alongside drinking clean water, going to school, and planting trees. And it’s not just kids, either. During my visit, Tim Jahnigen, co-founder of One World Futbol, brought up the 1914 Christmas Day Truce, when World War I took a remarkable hiatus on the front lines for the holidays. Men played soccer in the no man’s land between opposing armies, stepping away from their weapons and scrimmaging with whatever was at hand. The official recognition of play is growing. While the Wall Street Journal reported on children as young as 5 taking entrepreneurship classes, Forbes reported that unstructured free time with hands-on play is the key to fostering independence, creativity and strategic thinking. The international community recently celebrated the first-ever International Day of Sport for Development and Peace on April 6.